Mobile payment platforms – like most other fresh forms of technology – were tried out for size by a small number of users early on. But in the last couple of years, both consumers and retailers have slowly begun to embrace mobile-payment options. Currently, there is a large number of shoppers and sellers who enjoy using the convenient option because of its sheer convenience. As mobile-payment technologies continue to advance, the option will most likely become even more prevalent in shopping scenarios. On Apple products, the mobile-payment option comes in the form of Apple Pay. Consider this: There were more transactions completed using Apple Pay in September of 2016 than there were over the course of 2015, according to Near Field Communications World. That's nearly a 500 percent increase in year-over-year transactions! Nearly $450 billion in transactions were completed using mobile payment systems in 2015, and that number is expected to grow to almost $1.1 trillion by 2019, according to Statista. 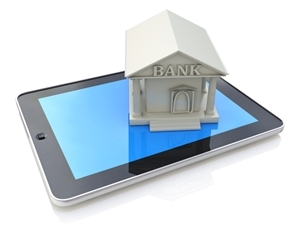 That means mobile banking is not a fad – it is here to stay. "Earlier this month, I visited Japan where Apple Pay went live yesterday. Japanese customers are already in the habit of making contactless payments where they commute, dine and shop and so we expect a strong response and rapid adoption of Apple Pay," he said in a statement. "Around the world we're seeing very strong growth in transaction volume through Apple Pay, which also launched in Russia and New Zealand this month and is coming to Spain in the next few months." As Apple continues to look for ways to promote the use of Apple Pay around the world, more companies in the U.S. are searching for ways to encourage their own customers to utilize the technology. One of the most popular ways for a company to do so is to offer incentives to customers. Retailers are constantly offering discounts, coupons and rebates to consumers who are a part of customer-loyalty programs. One of the easiest ways for merchants to encourage the use of Apple Pay is to offer similar initiatives to spark customers' the initial interest. Assuming everything goes well using Apple Pay, it is likely those individuals will continue to use the technology. That said, the use of mobile-payment platforms is rising even without the use of such deals and programs. As a result, retailers across all industries are being forced to adapt to the new technology. If not, companies run the risk of losing customers to competitors who have adopted mobile payments already.